We’ve probably all listened to albums and thought to ourselves, this is weak. Mantar is a band that you’ll never have to worry about that with. Formed in 2012, the duo continues to grow stronger as they have released yet another punishing album for their ever-growing fan base. 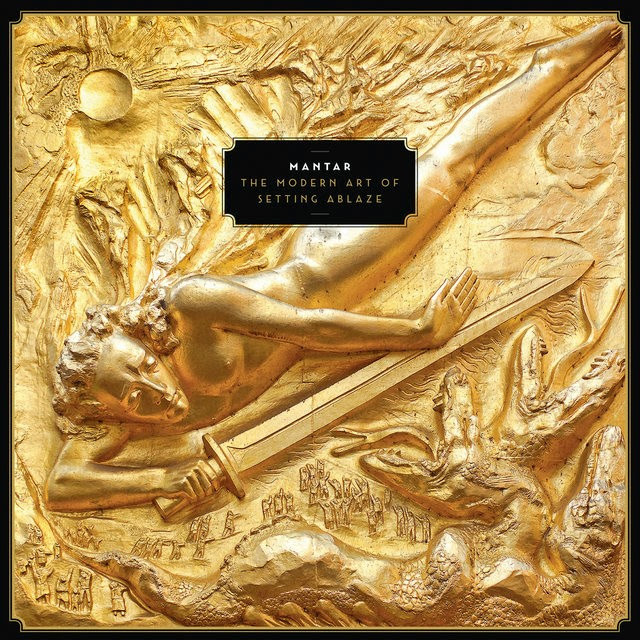 With The Modern Art of Setting Ablaze, Mantar demonstrates that you do not need a band full of musicians to create a colossal sounding album. The German duo of Erinç Sakarya (drums, vocals) and Hanno Klänhardt (vocals, guitars) have blended a wide array of frequencies with this release. The opening instrumental track, “The Knowing,” is an instant indication of the band’s musical diversity and influences. The intro, composed of melancholic, and dare I say shoe-gaze clean guitar tones, lays the foundation for the album. In true Mantar fashion, the band transitions the beautiful sounds of the intro into their concoction of heavy doom and even heavier punk offerings. The track “Age of the Absurd,” which the band also has a music video for, gives the listener their first taste of the band’s metal offerings. Aggressive d-beat drumming transitions seamlessly into blast beats as the track progresses. Distorted vocals and crunchy punk-rock riffs set an aggressive tone throughout the album. The album holds your attention as riffs transition from fast to slow and even a few sound samples are thrown in the mix. The Modern Art of Setting Ablaze proves that Mantar is far more than just another sludge or punk band. This is the kind of album that you want to crank up loud and have your ears ring. Each song provides simplistic, yet heavy riffs that are kept interesting with tempo changes backed by thunderous drumming. Delivering 12 tracks of pure aggression, the album solidifies that Mantar is one of the heaviest two-piece bands on the planet. Tracks “Dynasty of Nails” and “The Formation of Night” bring fierce doom rhythms that will rattle your bones. Though not very technical, the guitar tones are well mixed and pierce through the tracks at just the right levels. The Modern Art of Setting Ablaze is a refreshing album for listeners looking for a bit of variety mixed in with their punk and doom. If you’re a punk or sludge fan, and are wanting more extreme music, this is it. Even after multiple listens I find myself hearing nuances that make this one of the heavier albums I’ve heard in awhile.